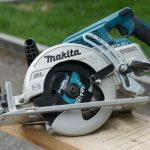 As a builder and remodeling contractor, there have been countless times when I go to a small job or to finish up punch-list items where it takes longer to get all the tools out of the trailer, than it does to do the work itself. These seemingly small tasks, end up eating the better part of a morning or keep you from getting to another job that day. 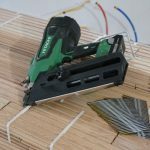 I recently got to try out the new battery-powered brushless framing nailers from Hitachi that aim to marriage the portability of cordless with the performance of pneumatics. Pneumatic nailers have always been one of those tools I dreaded getting out of the trailer. 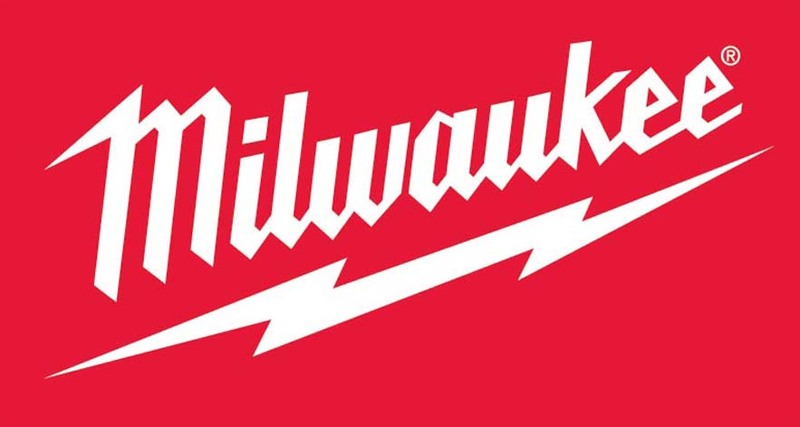 Grabbing a heavy compressor, nailer, unrolling the hose and then repeating to pick up, always seemed like way too much work, and time, for smaller jobs. 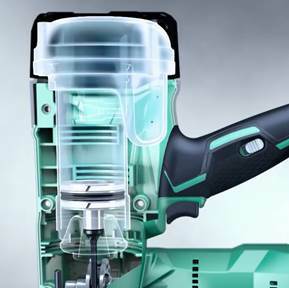 Cordless, gas-powered nailers, have helped bridge this gap for years. They too, however, have drawbacks. Slower firing speeds, regular maintenance and the cost of gas cartridges all added to a less than desirable experience. 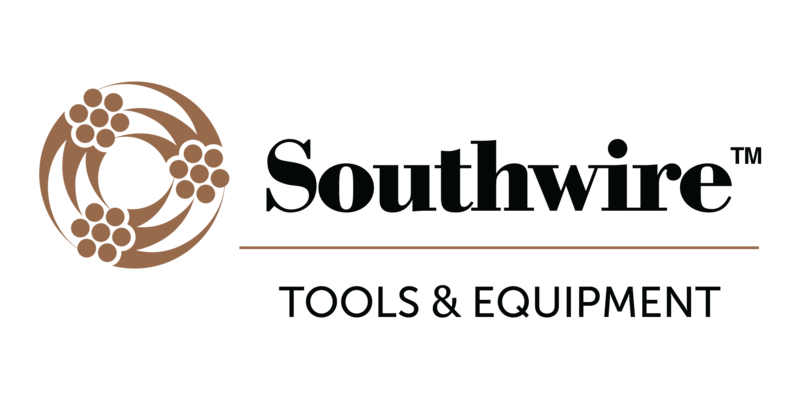 With recent innovations in battery-powered tools, we are closer than ever to a true, pneumatic replacement. So far, Hitachi is the closest. 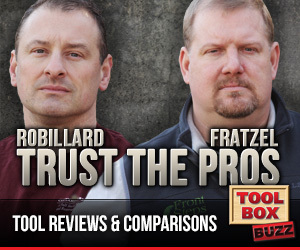 There are currently only a few options on the market for battery-only framing nailers. 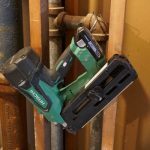 The Hitachi NR1890DR is one of them, and can handle 2” to 3-1/2 plastic-collated 21-degree, clipped or full-head, framing nail. 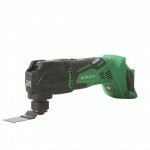 Hitachi also makes the a nailer that will install 30-degree paper-collated nails. These Hitachi nailers are equipped with an Air Spring Drive System that uses compressed air in a sealed cylinder to fire the nail. The unit is filled at the factory to 72 PSI with the piston is in the lowered position. Once the tool is turned on, the brushless motor drives piston so that it compresses the air into the cylinder. This creates almost 120 PSI. When the trigger is actuated, compressed air is released, driving the piston down, resulting in the firing pin striking the nail at the same force as a pneumatic. Utilizing this sealed compressed results in zero ramp up time, and allows you to install up to 2 nails driven per second. 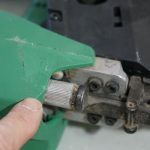 The cool thing, is that the nailer is always “at-the-ready.” Meaning when you fire the nailer, the fastener is installed with zero lag, and the piston is immediately reset. The recoil feels like a pneumatic nailer. 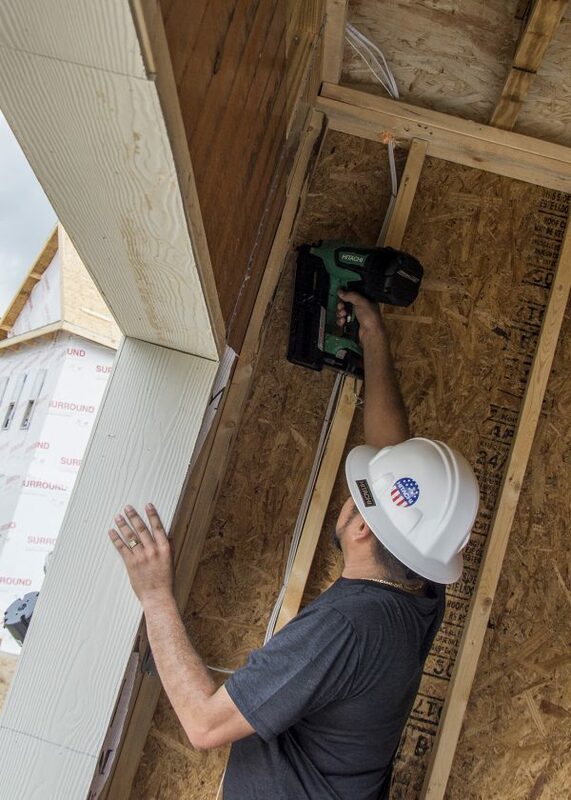 This cordless nailer is ideal for all construction framing applications but is particularly useful for punch-out work on a jobsite for quick in-and-out operation with minimal hassle and professional results. The Hitachi NR1890DC and NR1890DR both come with the nailer; a new, svelte 3.0 Ah battery; charger; safety glasses and a bag to house everything. Admittedly, the nailers seemed a bit heavier than their pneumatic cousins, but were very well balanced and the ergonomics felt great (After using the nailers, the weight was a non-issue for me). Right away you notice the control panel located just below the handle. The easy to find controls were fantastic, and I will cover this more in-depth later in the article. The construction, although mainly plastic, seems well made. All of the parts had tight tolerances and the overall construction just felt solid. Located directly below the handle is the control panel. 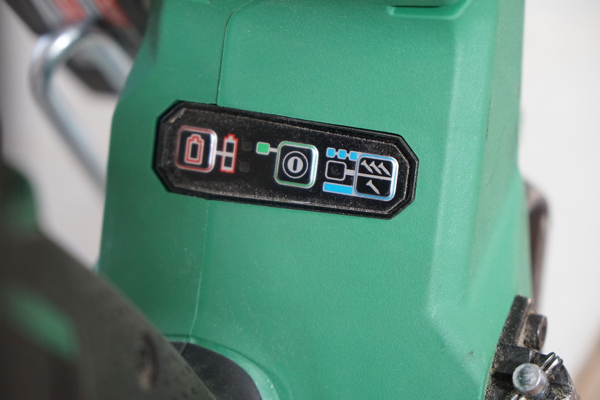 Within the panel, you can power on the tool, change the firing actuation from sequential to contact (bump) fire, and check the remaining battery life. The intuitive controls make everything extremely easy to use and operate. To power-up and off the NR1890DC and NR1890DR, you simply press the power button for a second or two and you are ready to build something. A single push of the selective actuation button lets you toggle between sequential and bump fire methods. This feature, in particular, is so easy that it helps you forget the days of complicated firing mode changes. I found this also added to the safety of the gun. Whereas the more experienced carpenters on my crew all preferred the bump-fire mode, I’ve had several, very green, apprentices help that were not ready. To be able to switch between the two so effortlessly helped ease frustration for some and possibly dangerous results for others. Both the NR1890DC and NR1890DR come equipped with a rafter hook. The 4-1/2” hook swivels out of the way when not in use and can be mounted on either side to accommodate right and left-handed users. 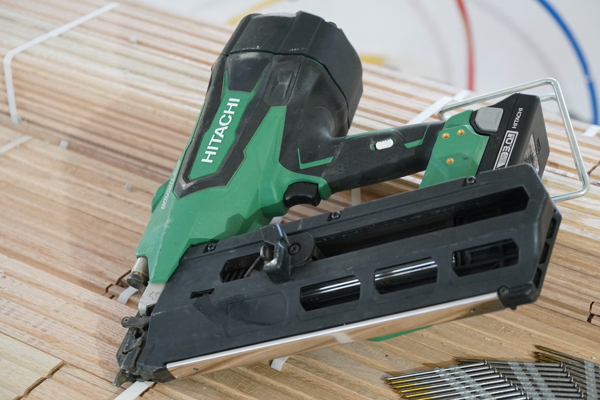 Until recently, Hitachi has never included rafter hooks on their nailers due to liability issues. 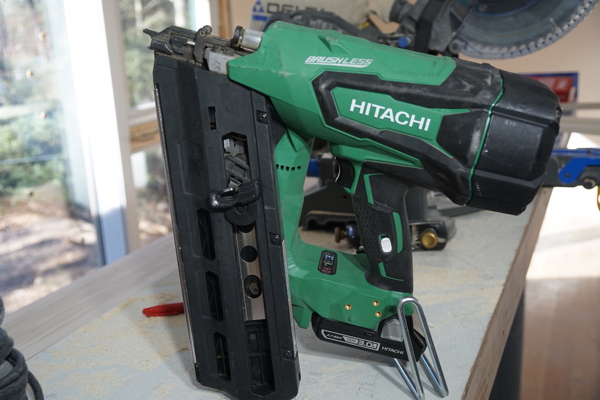 I personally believe all nailers should include rafter hooks and truly appreciate the effort Hitachi has made to include them on their nailers. However, I found this particular hook to be somewhat obtrusive and awkward. Another feature that I believe should be included in all nailers is a depth of drive adjustment. This particular version is tool-less which is an added benefit. 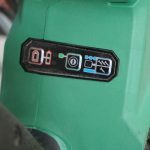 This allows you to adjust the depth the nailer drives the fastener depending the species and density of the materials preventing over-driving and nails left “proud” of the surface. An automatic power shut down is included to increase battery life and user safety. After 30 minutes of inactivity, the Hitachi NR1890DC and NR1890DR shut down automatically. This has taken a bit of getting used to, but the overall positives far outweigh the negatives. In addition to the automatic power-off, Hitachi has included a dry-fire lockout system. 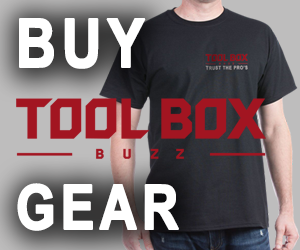 On either tool, you’ll only get one strip of nails loaded at one time. When the last nail is fired, the tool has dry fire lockout to let you know you need to reload. The final safety feature is the side mounted trigger lock. 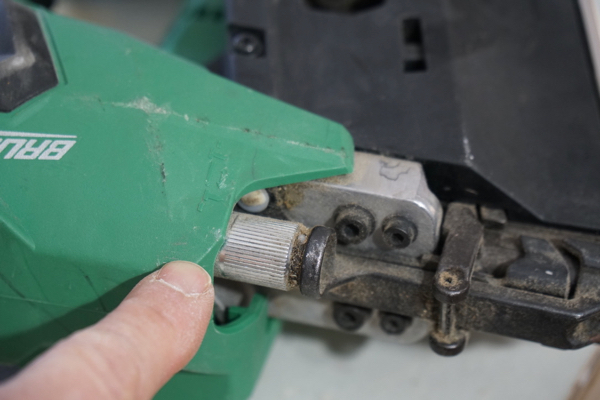 Much like a gun safety, once this trigger lock is engaged, the nailer trigger will not pull. 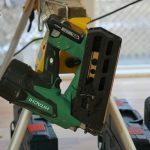 This is particularly useful if you have little ones around that you do not want to accidentally engage the nailer.We never used it – just took battery out. 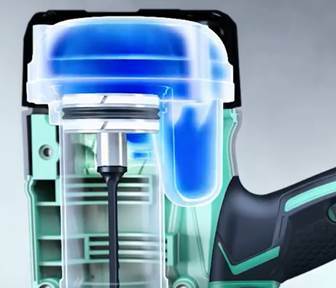 Hitachi claims their cordless framing nailers can drive as many as 400 nails on a single charge with the included compact 3.0Ah battery. We used the tool for several months on an interior partition framing remodel and were able to get about half a day of heavy framing, and full days on lighter days. 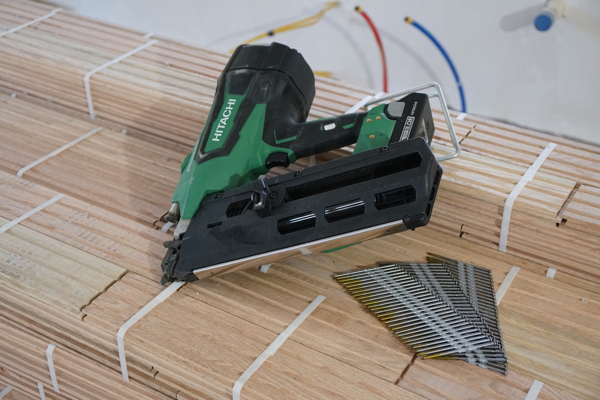 After using both Hitachi framing nailers for several months, we can confidently say that Hitachi has introduced a tool that is going to revolutionize the market. 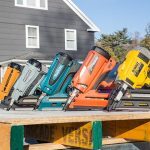 While not a true replacement for pneumatic nailers, particularly on a production framing site, my crew and I found ourselves, more often than not, grabbing these nailers for many tasks. Nailing hand cut jack rafters and bird-mouth notches, where hoses are notorious for getting snagged, are where these nailers really shined. 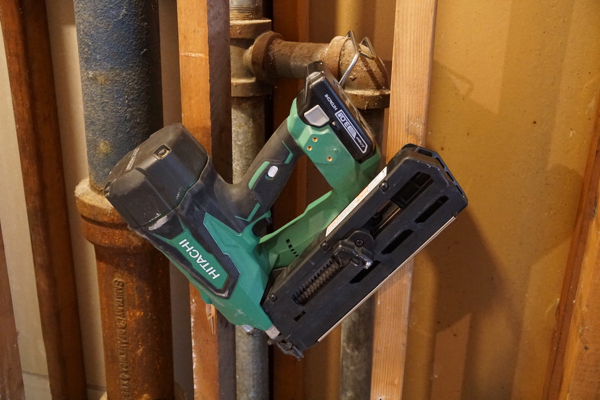 As far as punch-list items and small framing remodels, the Hitachi nailers can completely replace pneumatic. 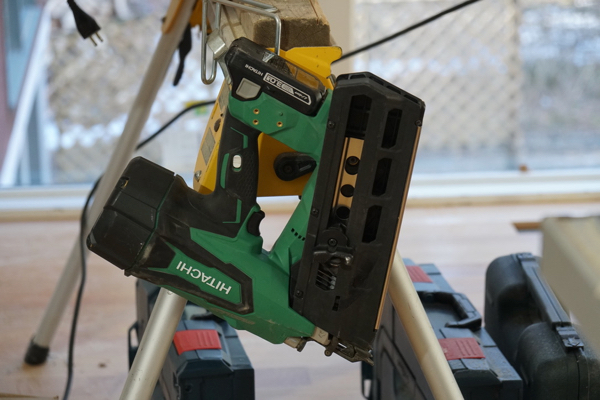 As local code dictates, we loved having the option of a full-head nailer. 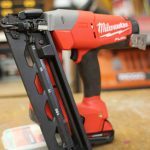 We can, without hesitation, recommend this nailer to any framer or user that wants a portable, powerful nailer with a battery platform than doesn’t take an arm and leg in which to get invested. 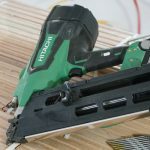 Hitachi has also included a lifetime warranty on their nailers, a two year warranty on their VERY reasonably priced batteries and a one year warranty on the charger. I just picked up the NR 1890DR and love it! I am so thankful that I don’t need a compressor, hoses etc. I’m not a professional I’m an avid DIYer and this unit is awesome for helping me speed through projects like never before!